Tired of asking your child about homework? All parents want to support their child's academics. But they also want to be able to walk away and watch their child manage school on their own. It's a tricky thing to find that right balance between helicoptering and watching helplessly from the outside. The one risks becoming nagging and backfiring while the other risks missing help that a child really needs. So how to find that balance? Awareness means knowing what's due tomorrow or next, it means knowing the current grades, and, most importantly, it means knowing what is expected of the student by teachers, textbooks and assignments. Self-advocacy means standing up for oneself. It starts with knowing what you need to know or do, and then acting on it by asking for clarification or help. Will power means not just wanting to do something but pushing oneself to get to it. Executive function refers to the skills and processes required to get something done. This means awareness, time management, organization, and planning. What it really means is how effectively a student can bring together the previous skills and processes in order to bring a task to successful completion. Wouldn't it be nice if we could just command or pass on these skills and attitudes to our children? If a skill or process is lacking, parents can support their child through what we at the A+ Club call "scaffolding." A proper scaffold supports a structure temporarily, holding it up or intact until it can stand on its own. Parents "scaffold" students and skills with oversight, help on school work, and setting expectations. What often goes missing, though, is the difference between "oversight" and "punishment." Kids sometimes can't tell the difference, and problems arise when a child starts feeling pressured and resists parent intervention. At that point the parent can either back off and let the child sink or swim or step up the interventions with positive encouragement and/or negative consequences such as taking away the cell phone. At the A+ Club our "scaffolds" start with reflection. We engage students in positive, non-judgmental conversations with experienced classroom teachers who know what goes on at schools and between teachers and students. From these conversations we help students to start thinking and speaking about school more positively and with self-honestly. Finally, when kids need help in a subject or on a project or paper, our team of tutors are ready to jump in and work with students directly to get them the help they need on it. Parents can adopt these processes, but it means staying positive and being consistent. 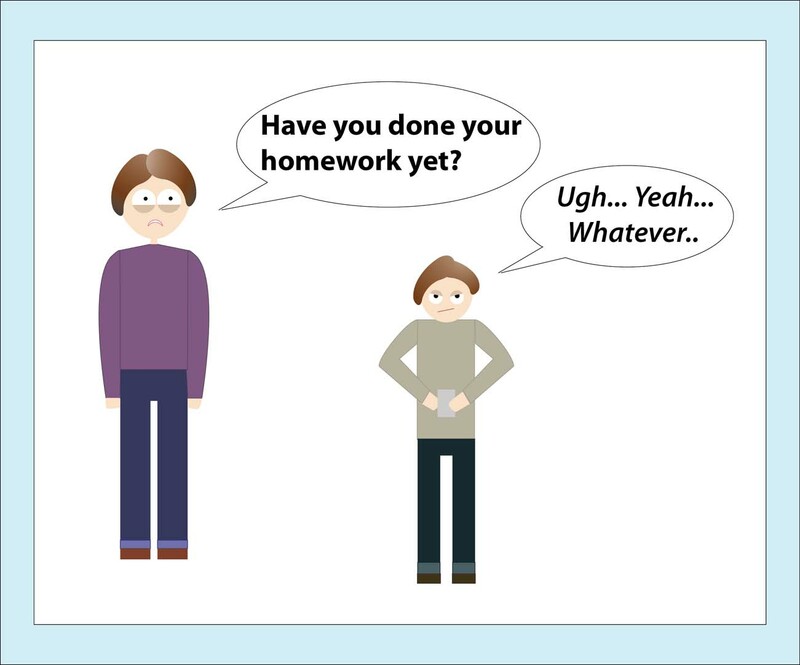 Good luck to you and your student, and please let us know if you'd like a hand in turning those conversations about school from "do you have any homework" to "great job!"